Researchers from India's VIT University combined studied a new hybrid material made from PVC and graphene-oxide (GO). They say that the GO enhances the properties of PVC and makes it useful as battery electrode material, and also for membranes and coating applications. 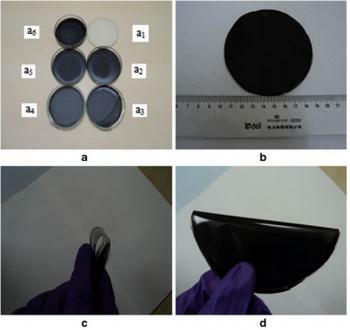 The researchers combined polyvinyl chloride (PVC) with graphene oxide using the colloidal blending method. The new composites were studied using several methods (including AFM, SEM, TEM and more) and it was found that the GO have been dispersed homogeneously throughout the PVC matrix, and the original research paper includes many measurements and analysis data.